Fudge is a classic British treat made from combination of butter, sugar and milk, which is brought to between 112°C and 115°C and left to set. Homemade chocolate fudge can be taken to the next level by adding either white, milk or dark chocolate. It can be enjoyed on its own or as one part of a larger dessert, it can even be cut into designs and used to decorate cakes and cupcakes. 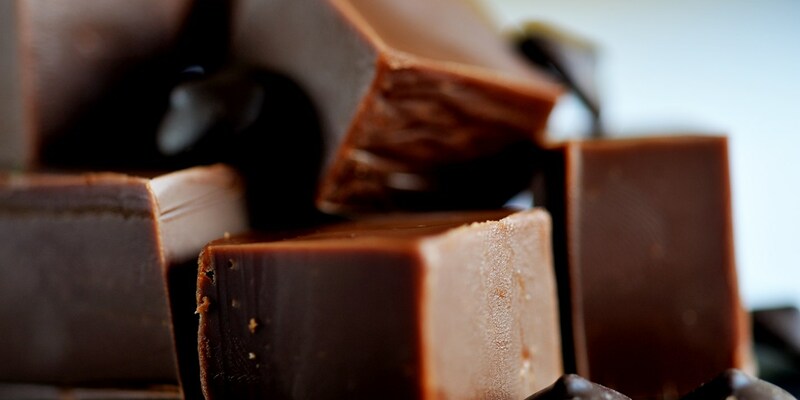 Browse this superb collection of chocolate fudge recipes, including Simon Hulstone's dark chocolate fudge and Paul Foster's fragrant chocolate and cumin fudge and a decadent white chocolate fudge recipe from Phil Carnegie. Follow our how to make fudge and our Chocolate Fudge Icing guides to discover how you can make the perfect fudge yourself at home.